Whether you own one business or an entire chain of franchises, commercial signage is one of the most cost effective ways to advertise and inform the public. Digital signs are popular, but many businesses today are coming back to hand-painted signs. Here are some good reasons why. 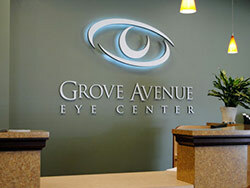 Whatever look you are going for, a personalized sign can be the solution. For example, your signs can be distinctive, like the sign we did for Finneys Crafthouse and Kitchen, or simple and effective, like Toppers Pizza. In fact, you receive both simple and distinctive with these signs, because they are created by hand. The art of painting a sign by hand is in fashion again because people appreciate art, whether it’s commercial or private. Sign art means something important. So much so that many people are collecting vintage signs today. With many types of signage you are limited to size and shape, but not with hand-painted signs. They can be small and located indoors or as large as a mural on your building. It’s all up to the business owner. There is no limit to the materials either and if you want a special wooden sign. Do you have neon signs or box light signs? No matter what type of signs your business has, hand-painted signs are the perfect compliment. They go well with very large signs and small ones too. When you opt for high-quality hand-painted signs from Dave’s Signs, you won’t have to worry about maintenance for a long time. Your signs are specially sealed to last for many years without touching up and there are no electrical parts to be concerned with. Call us today at (805) 641-1387 for more information.